Brexit lost by the worst margin in modern British history today, opening the door to scenarios once seen as outlier at best, Axios World Editor David Lawler notes. Before the vote, Prime Minister Theresa May called it the "most significant that anyone will ever be part of in our political careers." 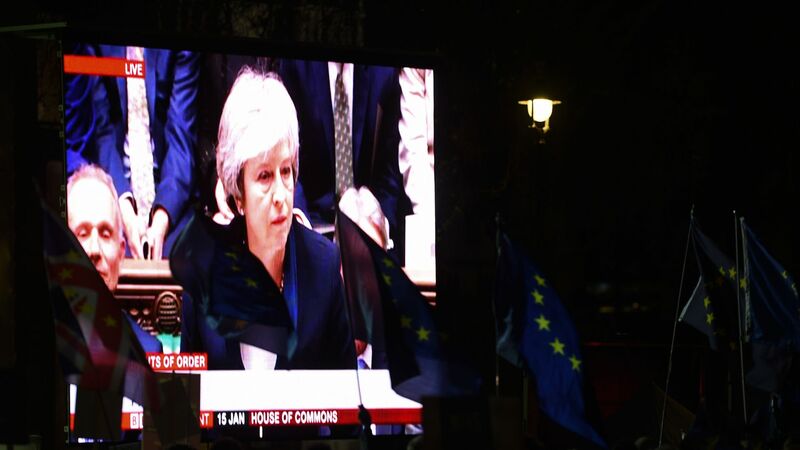 But May was defeated 202 to 432, a margin of 230 votes. The previous record was a margin of 166 votes in 1924. What's next: "Boris Johnson said it was a 'bigger defeat than people have been expecting' — and it meant Mrs May's deal was now 'dead,'" the BBC reports. "But [Johnson] said it gave the prime minister a 'massive mandate to go back to Brussels' to negotiate a better deal, without the controversial Northern Ireland backstop." 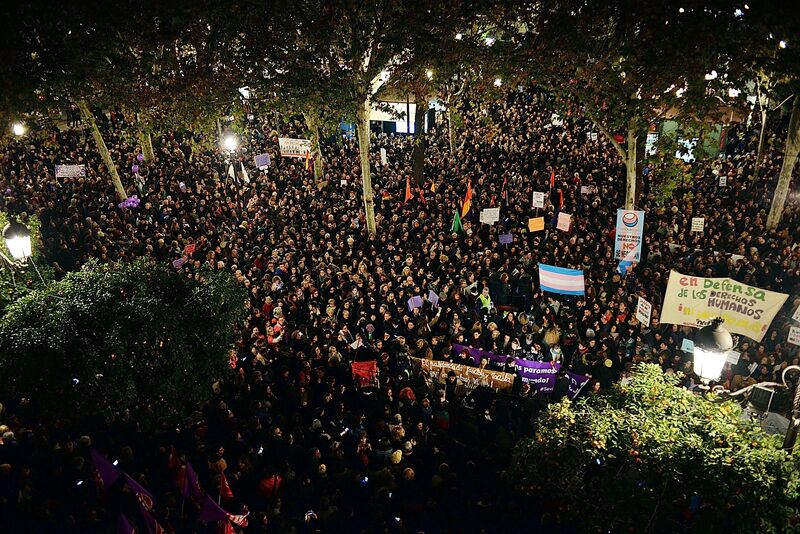 Above: Thousands of protesters during a feminist demonstration in Spain against the anti-immigrant Vox party, which is supporting a center-right coalition that defeated the traditionally ruling Socialist party in Andalusia, the region in southern Spain that has received the most migrants in recent years. 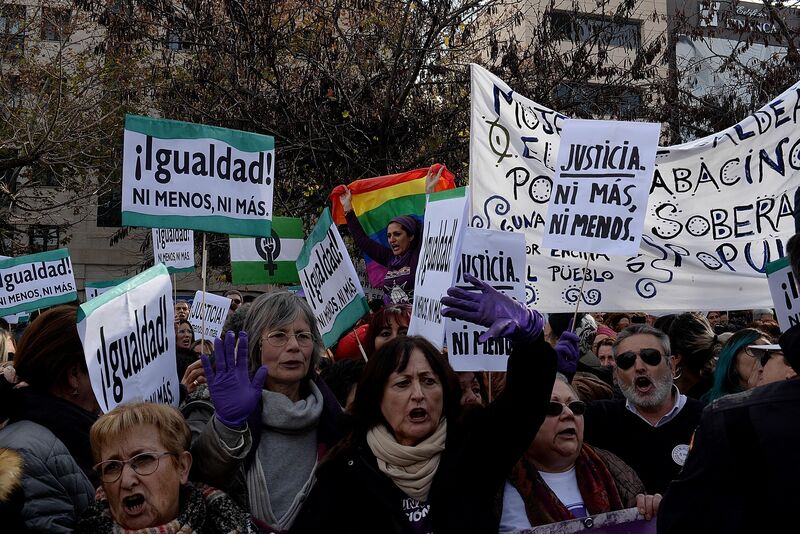 Below: Signs from the crowd: "Equality! No less, no more." The world's 2nd-largest Ebola outbreak on record in the Democratic Republic of the Congo is showing no signs of slowing after at least five months, with the number of cases soaring past 600 and the death toll eclipsing 400. Chart. The EPA hit a 30-year low last year in the number of pollution cases it referred for criminal prosecution. Details. Netflix is raising prices for all three of its subscription tiers effective today. Go deeper. Freshman and centrist Democrats rejected an invitation today to negotiate with the White House, despite receiving House Speaker Nancy Pelosi’s blessing to attend such a meeting. Go deeper. As Intel's quest for a new CEO passes six months, one name that has been on the company's list but hasn't been previously reported is Apple's Johny Srouji. Read more. Nike is selling a $350 smart shoe that needs charging, Bloomberg reports. It's the latest in a trend of smart wearables for data-hungry consumers. "The products carry sensors, accelerometers and gyroscopes that can give Nike a full, personalized snapshot of its owner’s performance. They’ll need recharging every two weeks." “It’s the start of a new day. ... It’s like we’re moving from footwear to firmwear," said Michael Donaghu, Nike’s director of global footwear innovation. Why it matters: The Nike Adapt is the next innovation in footwear on a digital scale, but also brings up questions about data privacy and user protection as they offer another form of wearable technology that tracks its user's every move, Axios' Michael Sykes notes.